A one of a kind place rich in lush natural beauty, Eau Claire, WI is the home of Eaux Claires. Centered around community, collaboration, openness, learning, and unconventionality, Eaux Claires is sure to be a one of a kind experience. 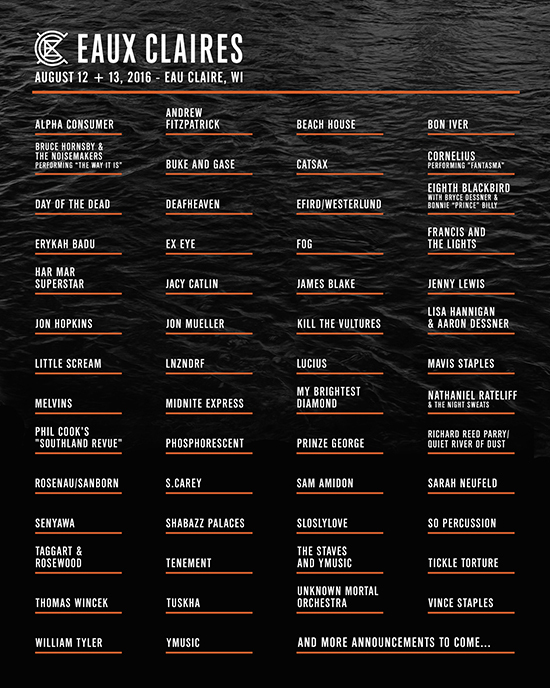 Including performances from an eclectic lineup, as well as an array of some out-of-this-world art installations, Eaux Claires invites you to “get away and come learn” with them. Select “Onsite Pick-Up (Eaux Claires)” in the shipping options during checkout.